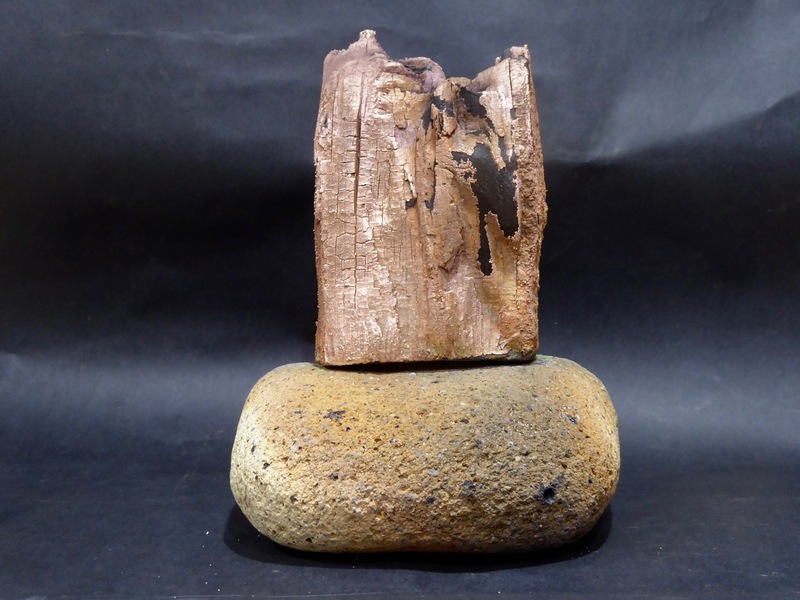 My research programme is moving into territory that is more satisfying and familiar to me. 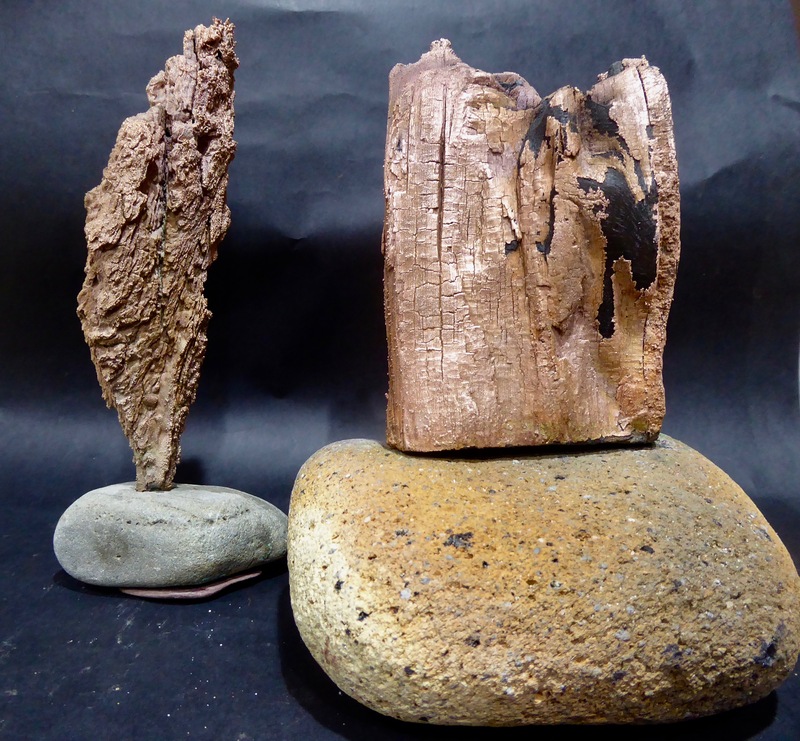 At last I’m beginning to make work again. Having explored and become familiar with the technology of electro-etching I can now play with its mark making potential. 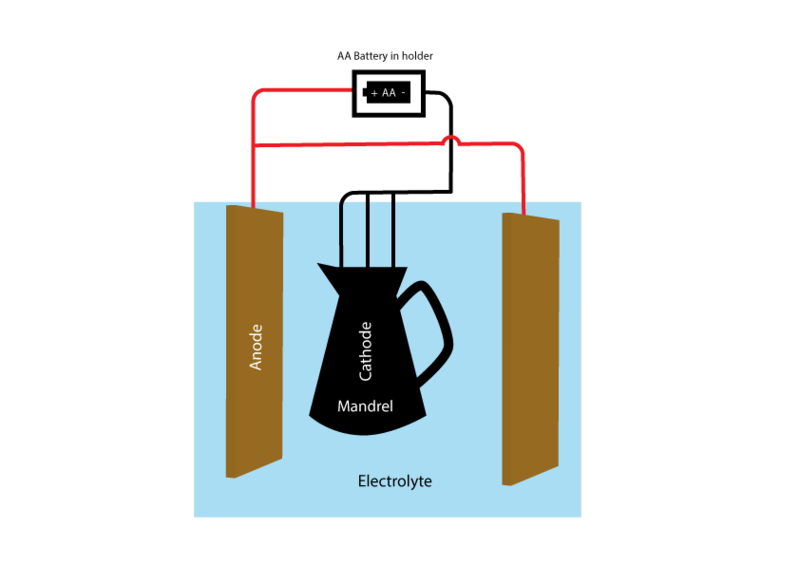 It is possible to etch plates in the traditional manner by replacing acid with electrolysis but that would be limiting its potential. 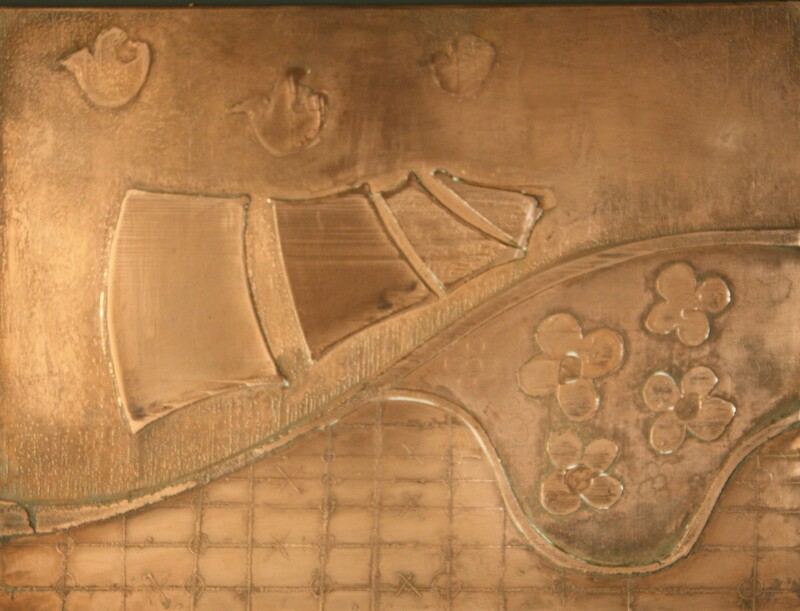 The major difference between it and acid etching is that metal can be added to the plates with electro-etch.The plate making process is more akin to building a collagraph. 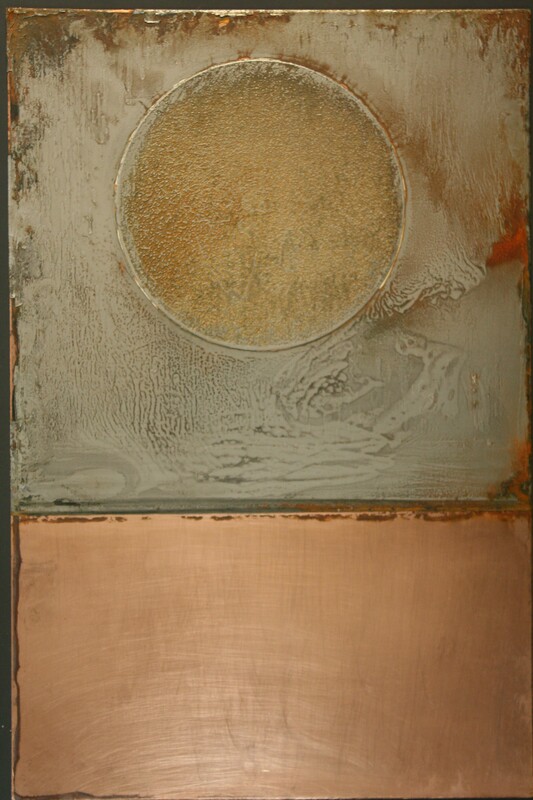 This copper plate was produced by both plating and etching so it can be both intaglio and relief inked. The plate is also a piece of art in its own right. 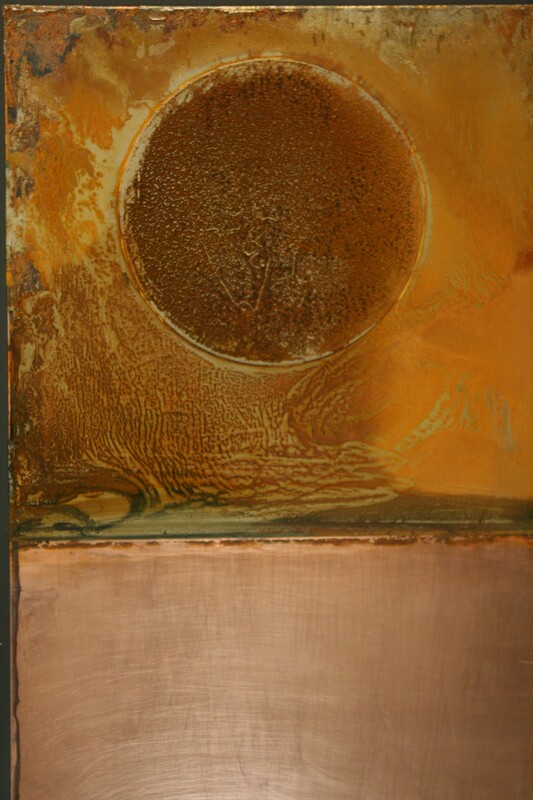 Steel facing a copper plate was used in the past to protect a soft copper plate so that more prints could be taken from it. Although the number of editions are not large enough to require steel plating I thought it would be fun to see if it could be done at low voltage. I’m sure it can but I didn’t manage it at first try but I did get some interesting marks. 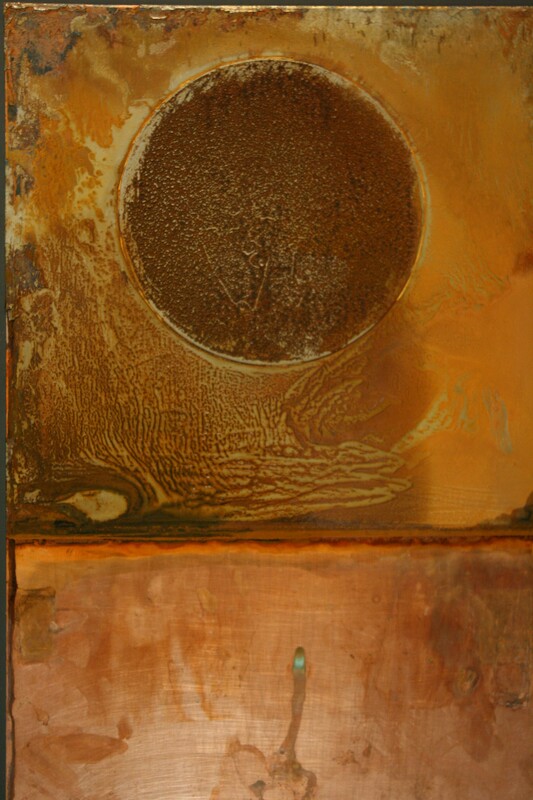 The colours were also amazing as the mild steel started to rust on the copper. The first image is of the plate as it came out of the tank, the second and third are as it was cleaned up.The third image shows some of the bare areas where the mild steel has not adhered properly. Although the lack of adherence is a significant failure, due to inadequate degreasing, the marks it makes are hypnotic. If I can achieve these colours in a print I’m going to be well pleased. 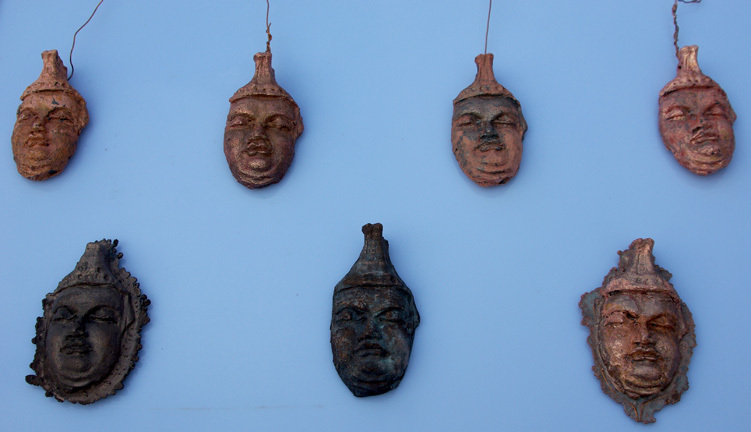 The masks above are examples of electro-forming with mandrels made from candle wax and the ones below are electrotype casts. The electro-formend mandrels were made by taking wax casts from the mould and painting them with electro conductive paint. 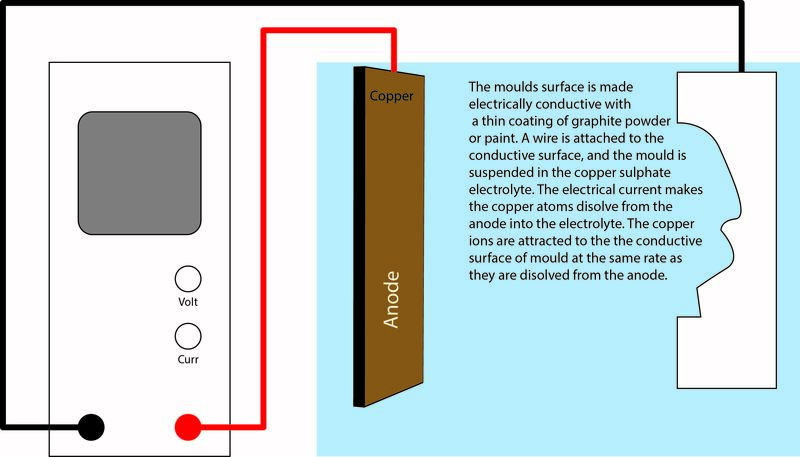 They were then attached to the negative terminal (cathode) surrounded by several copper anodes that were attached to the positive terminal (anode) suspended in a copper sulphate electrolyte. The same mould used to cast the mandrels was made electro conductive and used to electrotype more masks. The whole process takes around 24hrs. for each mask.